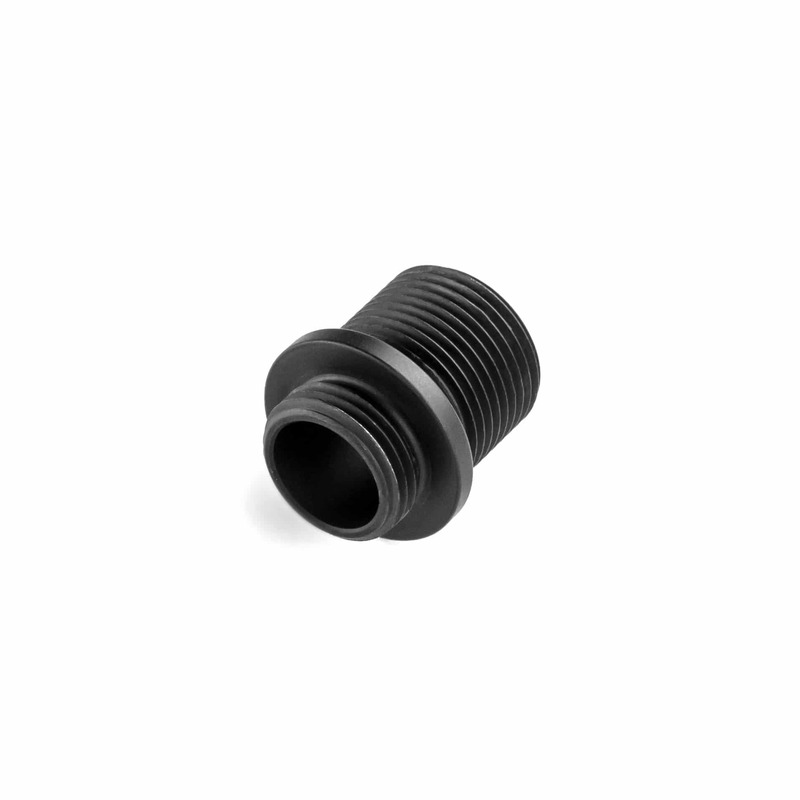 14mm CCW Thread adapter. With the typical threading, you can mount all kinds of tracer units and suppressors to your SSP1. It will not fit for the SSP-1 in the US version since it has an orange tip glued into the outer barrel. To use this thread adapter you have to get an outer barrel from the sparepart shop here.